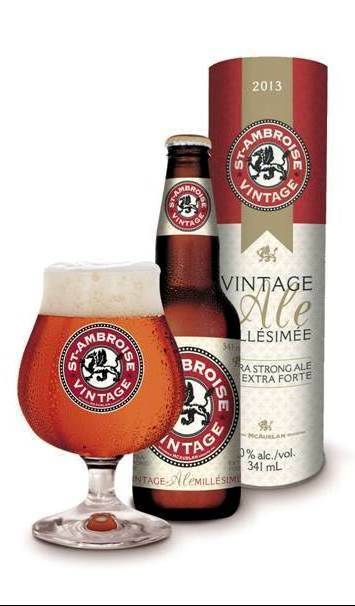 This entry was posted in Ontario Beer, Reviews and tagged barley wine, hull quebec, McAuslan brewery, quebec breweries, st. ambroise millennial ale, st.ambroise 2011 vintage ale, st.ambroise 2012 vintage ale, st.ambroise 2013 vintage ale, st.ambroise ale millésimée by storiesbywilliams. Bookmark the permalink. I am still to try this beer which is sad as a Barley Wine is my favorite beer of all time. Silly me. If only the 2000 were still available somewhere. It’d knock your socks off! But I’m pretty sure I hunted down all those that remain. So sad!